Where Things Come Back is a story told from multiple points of view. The main story line follows seventeen year old Cullen as he and his family deal with the disappearance of his younger brother, Gabriel. While the search is ongoing for his brother, Cullen's hometown of Lily, Arkansas seems to be more concerned with the possibility of finding a woodpecker that was thought to be extinct. Concurrently, Whaley begins the story of a young teenage missionary to Africa. Benton Sage spends less time as a missionary than planned and returns home to find that he is no longer sure what he believes. Throughout the novel the stories seem disconnected, but Whaley brilliantly ties them together in a way that will definitely take you by surprise. 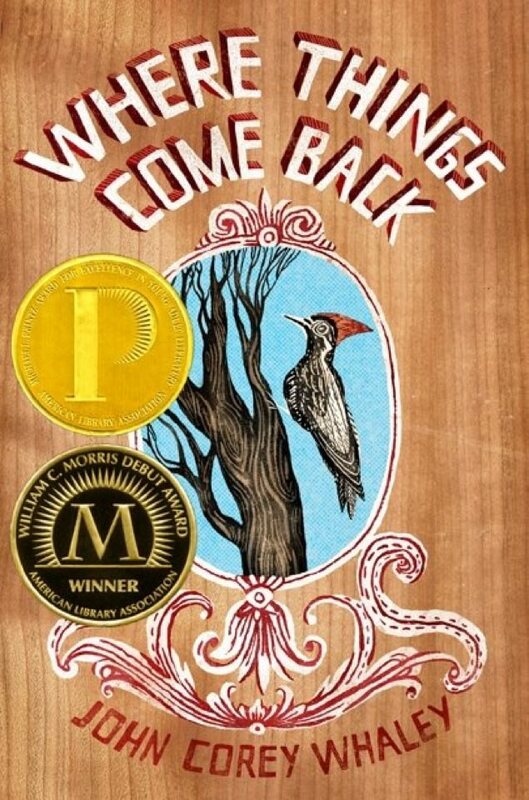 Where Things Come Back is a novel that confused me in the beginning. I could not figure out why Whaley was telling two stories that seemed to have nothing to do with one another. The beauty of this book is how he ties everything together in the end and it all begins to make sense. This was truly a fabulous novel and one I highly recommend.